The job of a superintendent is, ultimately, loaded with responsibility. It’s quite similar to what is expected from today’s school principals, but on a much larger scale. Rather than overseeing the advancement of one school, you will have to manage several schools within one district, making sure they’re running smoothly and meet the state of Illinois’s academic requirements. The extensive training you’ve undergone to prepare for this job has no doubt prepared you for what your pending career will entail. 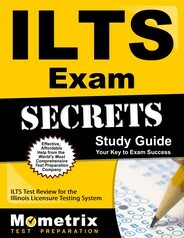 However, before you can officially claim your title, you must first contend with the ILTS Superintendent exam. Just as with teachers and other educational professionals, aspiring superintendents must take the ILTS (Illinois Licensure Testing System) to prove they’ve picked up all the skills they’ll need to perform their job effectively. You cannot complete your certification without first earning a passing score on this exam. Because this career path is so complex, you can expect the ILTS Superintendent test to be just as in-depth with its materials. It will run for about three hours and 45 minutes in terms of time allotment, and features 125 questions. Facilitating a Vision of Educational Excellence. It’s understandable if you feel intimidated in the face of such an important exam. However, the Mometrix Test Preparation team would like to let you know we’re here for you every step of the way while you study! On this page, you’ll find our ILTS Superintendent practice test. 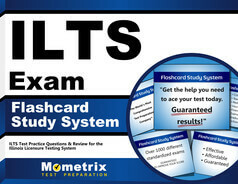 This study tool is ideal for those interested in familiarizing themselves in what the actual test will entail. We have conducted only the most thorough research to ensure our practice test is as accurate as possible. Best of all, our practice test is 100 percent free for you to use however and whenever you need! Study hard, and good luck!